10 years have now passed since Juan Arbelaez left Colombia and made Paris, France, his new home. He was just 18 years old but his goal was clear: to study at the prestigious Le Cordon Bleu Paris school and learn French culinary techniques. Juan graduated with his Cuisine Diploma in 2009 and, for his Chef Instructors, this young chef’s potential was already clear to see! 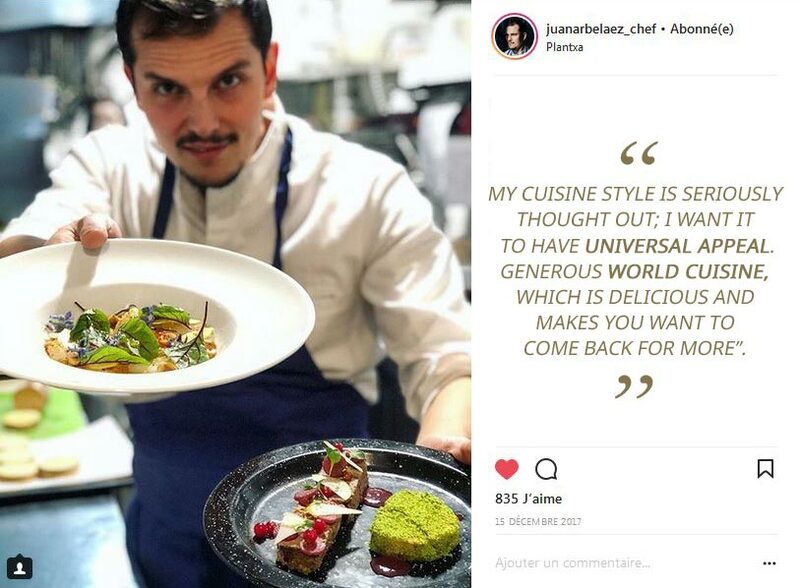 “Juan belongs to a specific generation, which is bursting with ideas and not afraid of challenging preconceived ideas in France”, states Éric Briffard, One of the Best Craftsmen in France (Meilleur Ouvrier de France - MOF), Executive Chef and Culinary Arts Director at Le Cordon Bleu Paris institute. Juan Arbelaez then honed his skills in the kitchens of renowned chefs, including Pierre Gagnaire, Éric Briffard at the Four Seasons George V Paris hotel’s restaurant, Le Cinq, and at Le Bristol alongside chef Éric Frechon. Top Chef was a real springboard for my career. The programme catapulted me into the big league and enabled me to open many doors! It was then up to me to make the most of the network and seize every opportunity. In mid-2012, a friend of Juan Arbelaez introduced him to a Colombian chef with a struggling restaurant in Boulogne-Billancourt. Juan suggested becoming a partner and went on to completely modify the restaurant’s DNA: the premises, menu and ingredients; Plantxa was born. A risky move, but Juan was optimistic and more than ready to rise to the challenge. All the hard work paid off as, just 3 months later, the restaurant was a resounding success! In 2013, following the opening of his first restaurant, Plantxa, the pace picked up dramatically for Juan Arbelaez. 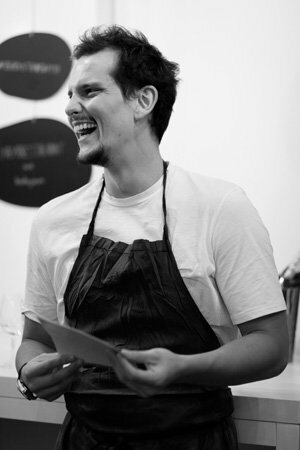 In 2015, he opened A Mère and three other restaurants followed in 2016: Maya, Levain and Yaya. Not just a successful entrepreneur, Juan Arbelaez is also in charge of the kitchens at the Marignan Champs Elysées hotel***** and created Nubé restaurant, which was replaced by Limon in 2017. Here, in Paris’s Golden Triangle, the young chef is given carte blanche to give his creativity free rein. Which cuisine style can be found in each establishment? Plantxa - 2012 : We work with fresh, seasonal ingredients, straight from the terroir. The menu changes weekly. The dishes are surprising, with unexpected combinations. The setting is trendy and relaxed, with a gastronomy style which appeals to all. 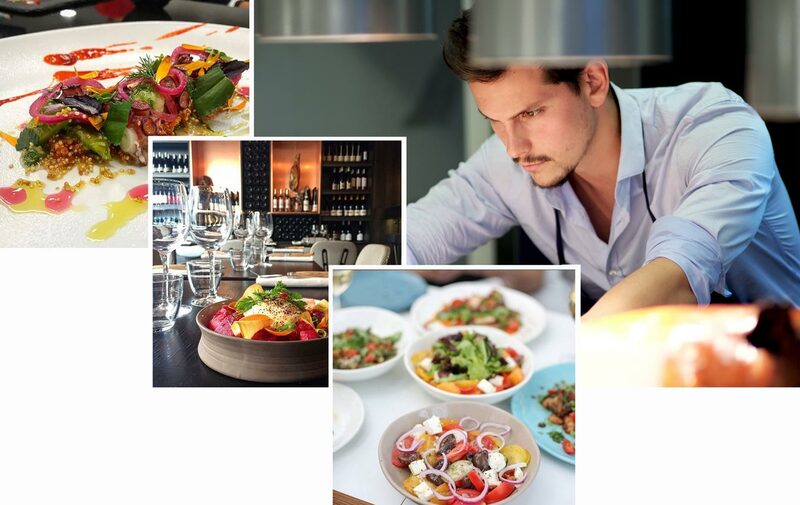 A Mère - 2015: A Mère offers inventive and thought-provoking bistro/gastronomic cuisine, which is sure to please. The restaurant is small and experiments with sour flavours. Chef Mauricio Zillo is skilled in the art of surprise, “He hits you right between the eyes whilst caressing your palate”, explains chef Arbelaez. Maya - 2016: This restaurant was created in the same vein as Plantxa, in a slightly more intimate and cosy setting, thanks to decorative wooden elements and warm colours. Levain - 2016: Levain restaurant’s cuisine revolves around bread and wine. The dishes are generous and the kitchen opens out onto the dining room. It is an inviting neighbourhood restaurant in which toasted bread with various toppings are shared. Yaya - 2016: Yaya is the temple of Greek cuisine. This restaurant was created in partnership with the Chantzios brothers, founders of Kalios olive oils. On the menu: Greek recipes using seasonal ingredients. The best Greek sandwich can be found here according to Le Fooding! Limon, Marignan Champs Elysées hotel*****: Limon’s main concept is citrus fruit. Here, chef Juan Arbelaez can give his creativity free rein; he plays with the acidity, lightness and delicious flavour of citrus fruit. Each mouthful makes you want to come back for more. What are Juan Arbelaez’s plans for the future? In March 2018, chef Arbelaez will cook at the French Embassy in Colombia as part of the Goût de France/Good France campaign. He is also working on a book project, a health-based concept with well-being recipes, using healthy and detox cooking techniques, with his girlfriend Laury Thilleman. Lastly, I am developing a street food project, with Yaya to go, and Levain to go. By the end of 2018, I want to open simple and affordable outlets in Paris, to put street food firmly back on the map in the heart of the capital.